I'm happy to report that I had not one but two new project starts in February, despite getting really sick early in the month. 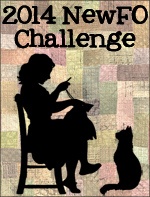 Smitty and Gracie of the Three Cats Ranch (and Barbara too of course) give us all full permission via the New FO Challenge to start new projects each month and who am I to not listen to what they decree. 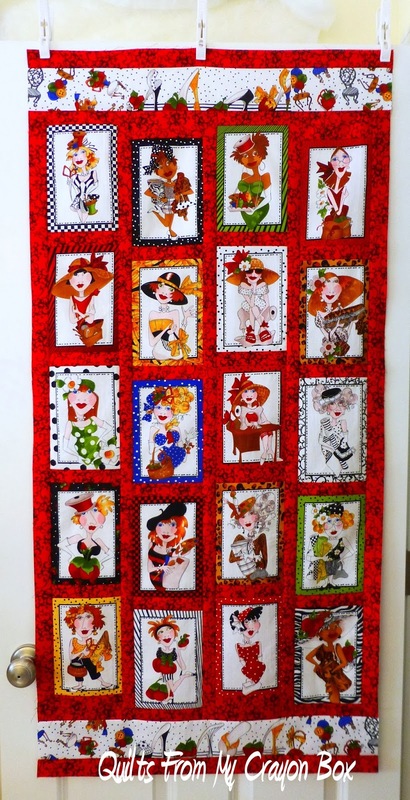 I started and completed the top of this Sew Creative wall hanging. It was a bit challenging because the fabric panel was not printed square but I persevered and came up with something that I know I will enjoy viewing in my studio each time I enter the room. 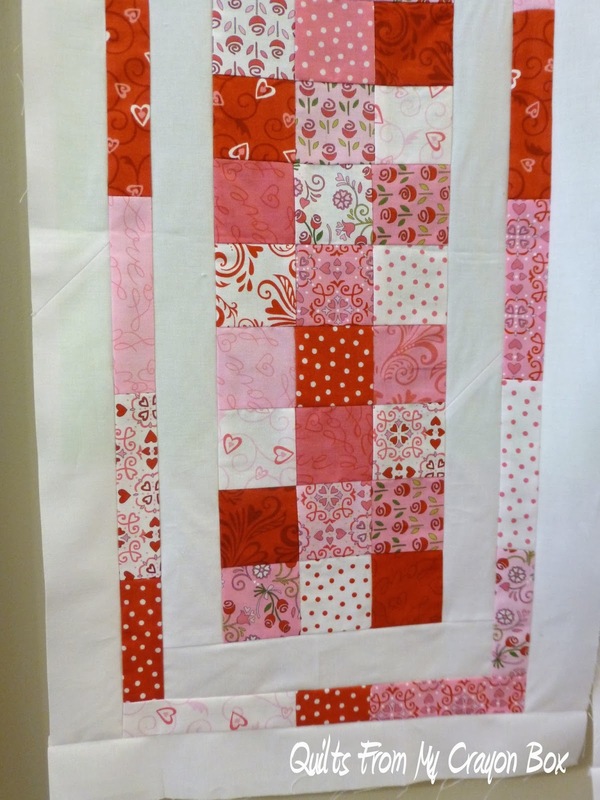 Now it just needs to be quilted and bound, once my longarm Penelope gets repaired of course. 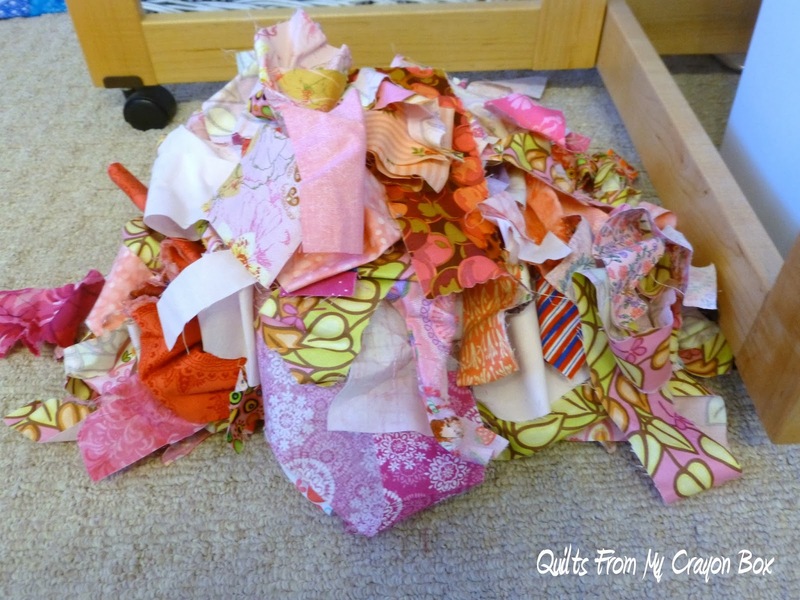 February's color was Pink and as you can see I have plenty of Pink scraps to work with. 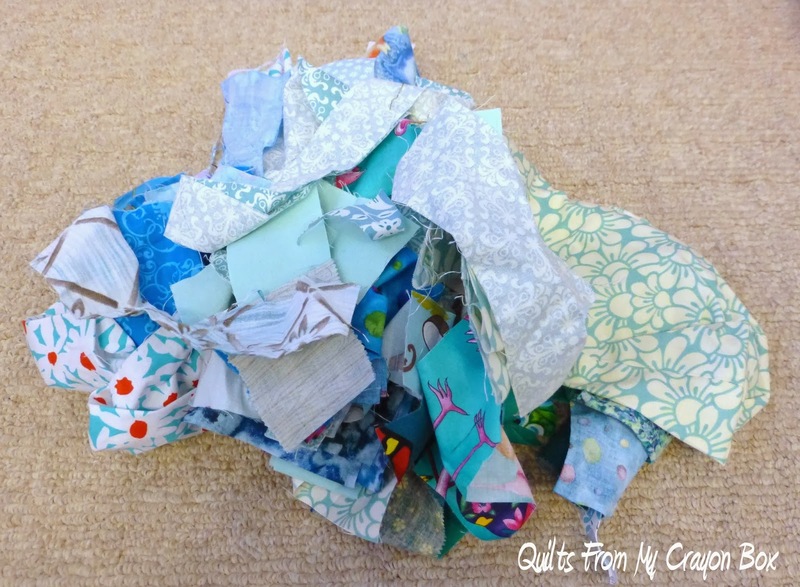 This pile should result in a couple of really pretty blocks. 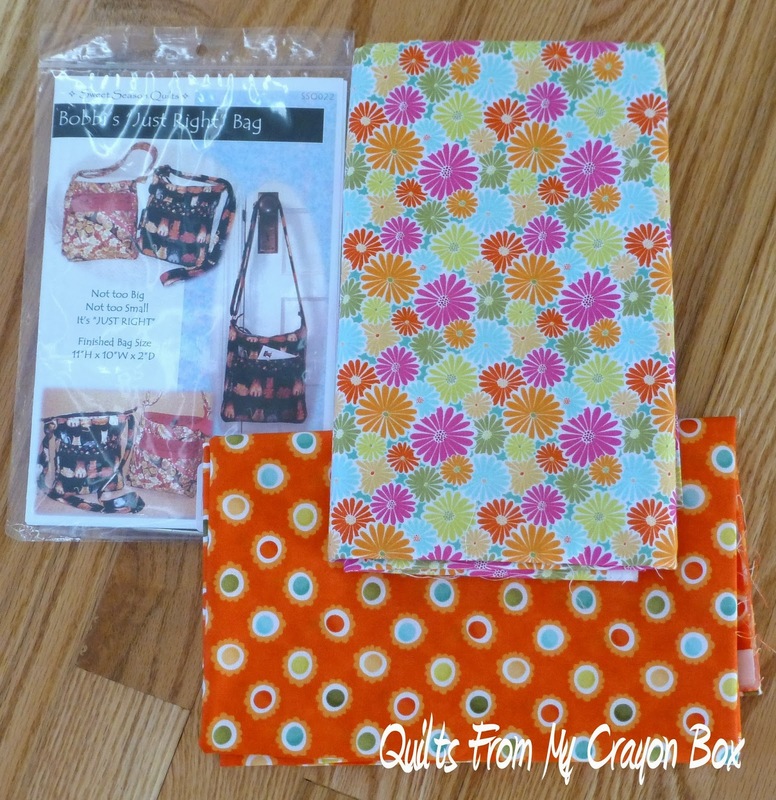 So there is my list of goals for March: 1 bag, finish 2 runners and make 2 colors of rainbow scrap challenge blocks. I'm truly hoping that no speed bumps get in the way of me having a good month quilty wise. UFO wise I honestly don't have many projects that are just blocks, waiting to be sewn together. I typically finish the tops and then they just need to be quilted and bound. I've been saving all of my tops lately to quilt myself on Penelope and really wanted to get that bit underway but with her under the weather and the machine doc nowhere in sight yet, she continues to sit and wait. If I'm hard working enough and get the items on my list all crossed off as done before the month is over, I just might tackle what was supposed to be my goal for January...sewing on the 1st side of the binding on this monster quilt. Here is a peak. It is Jammer's 100 Good Wishes Quilt and it literally weighs a ton. The entire quilt is 116" x 130" so wrestling it under my machine is going to take a lot of hard work but finally having it 100% complete will be so rewarding. Then I can get started on Sunshine's 100 Good Wishes Quilt. How about doing a mix of teal and pink?? all the other projects look great! how's the V17? It's a long month and a lot of your projects can be slowly worked off with just even 15 minutes of play. 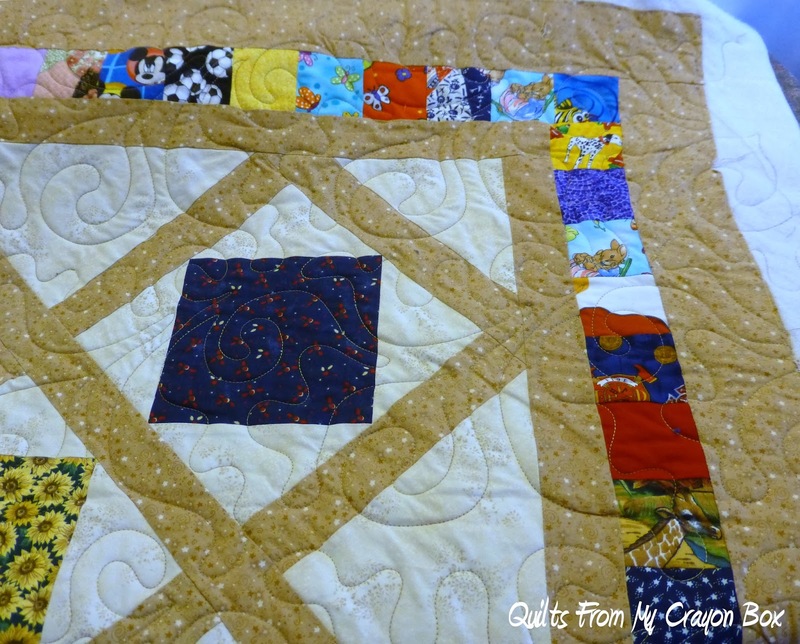 That is one HUGE quilt for a little guy!! Sorry to hear you we're a bit under the weather! It hit our household too so I feel for ya ;). Hope you meet all of your goals in March!! 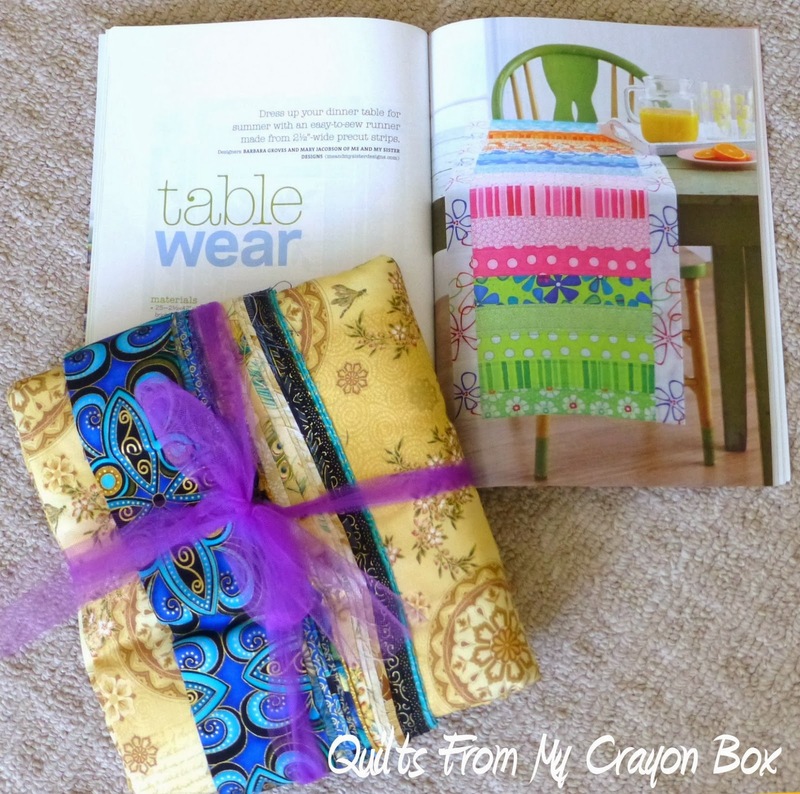 Love seeing all your projects, and I know you'll have a wonderful month sewing now that the germies have gone away. 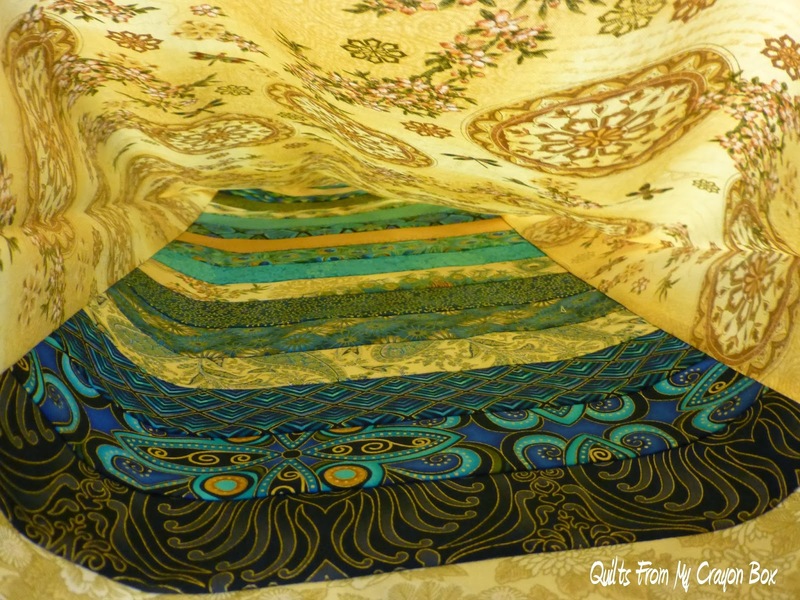 Your Kate Spain fabrics are gorgeous, and that tube looks very interesting! Wow...you have your work cut out for you!!! Good luck. Hi!!!! You have been very busy!!!!! Your creations are all very pretty!!!!! I can't wait to see all of your new creations you have lined up!!!!! Glad you are feeling better and rejuvenated! Enjoy your projects! 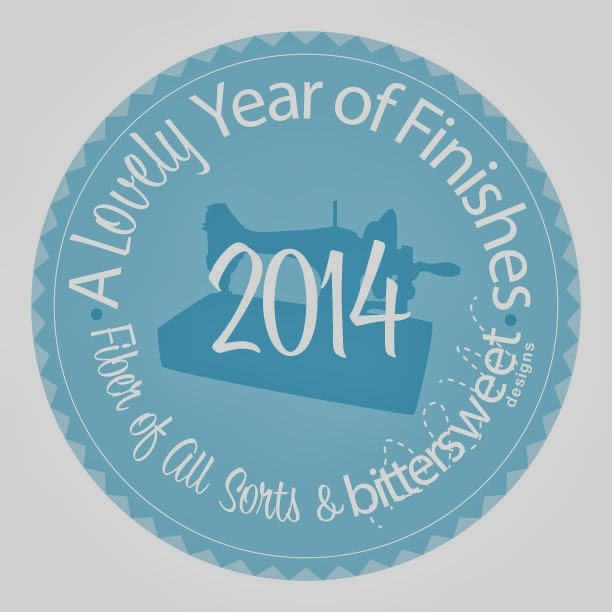 I'll be looking forward to your finishes. Those are some great starts. Smitty and Gracie say You Go, Girl!